Gum disease, also known as gingivitis, is a condition caused by the harmful bacteria in the plaque and tartar that build up on your teeth. Our local dentist, Dr. Guy Leavitt, may recommend one of many treatments to protect the health of your gums. If you would like to learn more about the treatments of gingivitis in Fort Collins, contact us today. Gum disease, which is also called periodontal disease, is a degenerative condition primarily caused by the bacteria found in plaque. The bacteria inflame and infect the gum tissues, and, when left untreated, bacteria can eventually cause the gums to pull away from the teeth. Untreated periodontal disease can result in bone and tooth loss, as well as gum tissue recession. 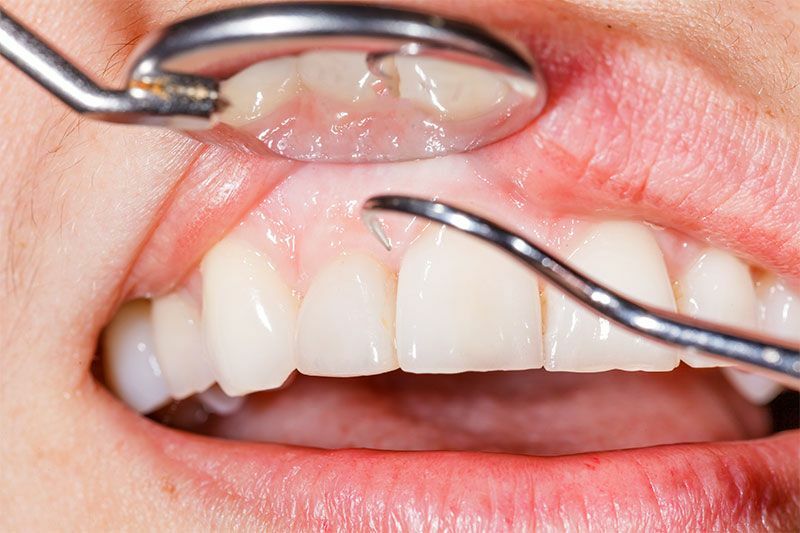 If your gums are swollen, red, or tender, or if your gums bleed easily, you may have periodontal disease. Other common symptoms of gum disease include loose teeth, painful chewing, persistent bad breath, and receding gums that make your teeth appear longer than normal. Following an exam at our office, our local dentist and team will be able to determine whether you suffer from periodontal disease. The treatment for gum disease is based upon your specific dental needs. Depending on the severity of the condition of your teeth, our doctor may recommend additional professional dental cleanings, improved at-home oral hygiene, antibiotic treatment, scaling and root planing (deep cleanings), or gum surgery. At Fort Collins Dental Arts, we strive to help you restore your oral health and halt the progress of the disease. For more information on periodontal treatment, call or visit our dental office soon after you schedule a dentist appointment. We look forward to caring for your smile!